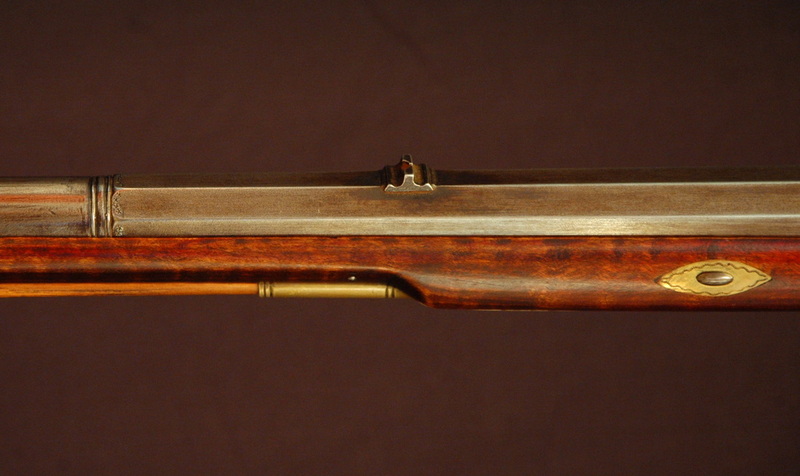 There are a number of surviving original rifles signed by and attributed to Stoffel Long. 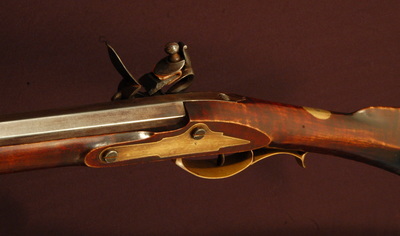 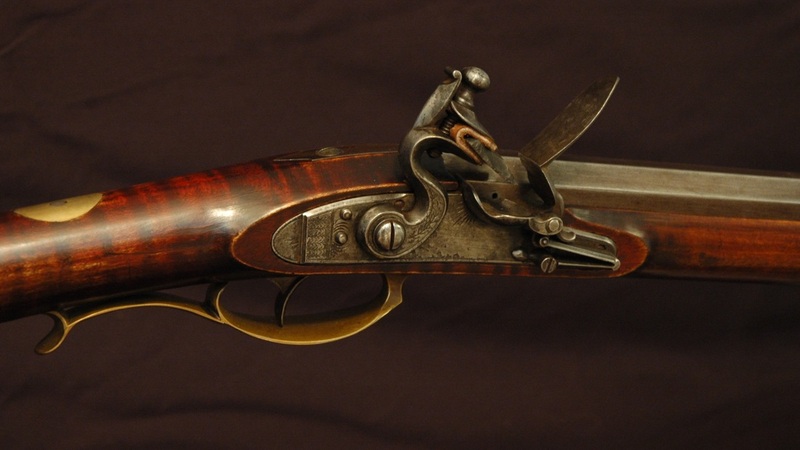 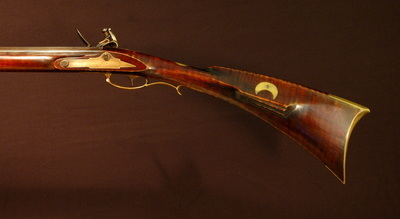 The majority of his rifles share a similar style to the earlier classic Lehigh rifles, but display a more "folky", even primitive appearance. 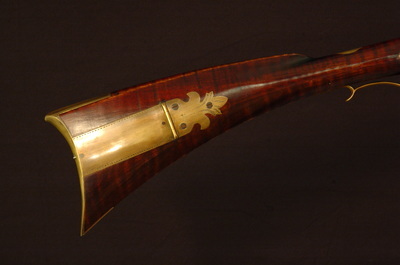 The wrist is wider than tall with a soft diamond shape, it has a two piece patchbox with similar "fleur de lis" finial, and a well pronounced roman nose shape to the buttstock. 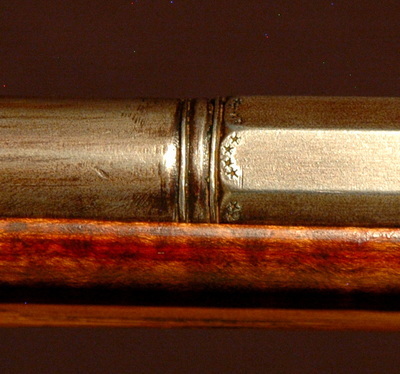 Though not poorly built, they often show the appearance of haste in construction, with file and scraper marks throughout. 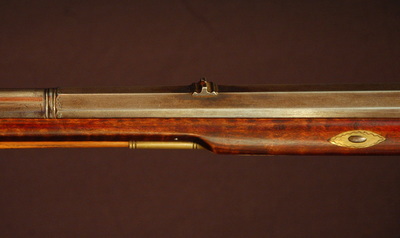 This rifle is a close copy of an original Stoffel Long. 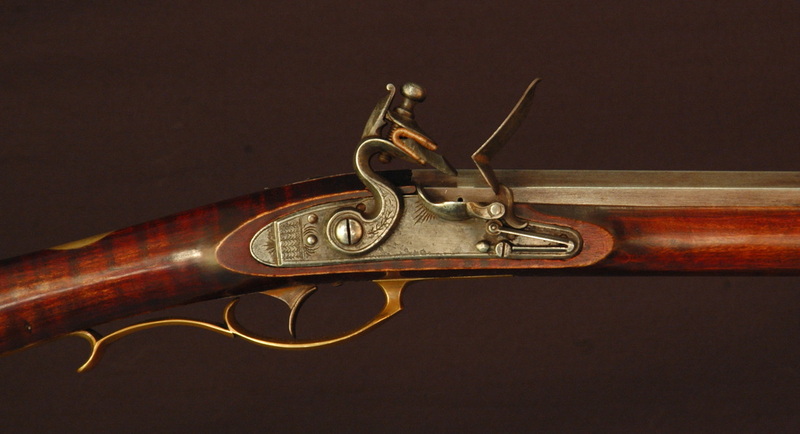 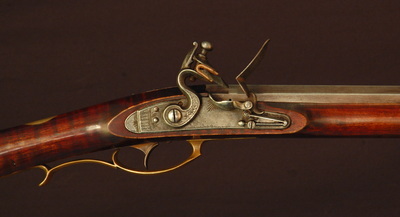 Unlike most others by his hand, this has barrel keys (called "draw loops" in period) and brass escutcheons. 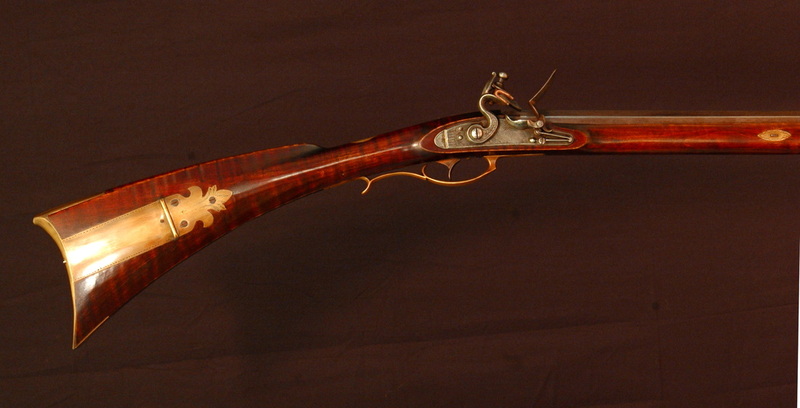 The barrel is 44" long, .45 caliber, filed octagonal to round in profile. The lock is a heavily modified late Ketland, with new frizzen spring. 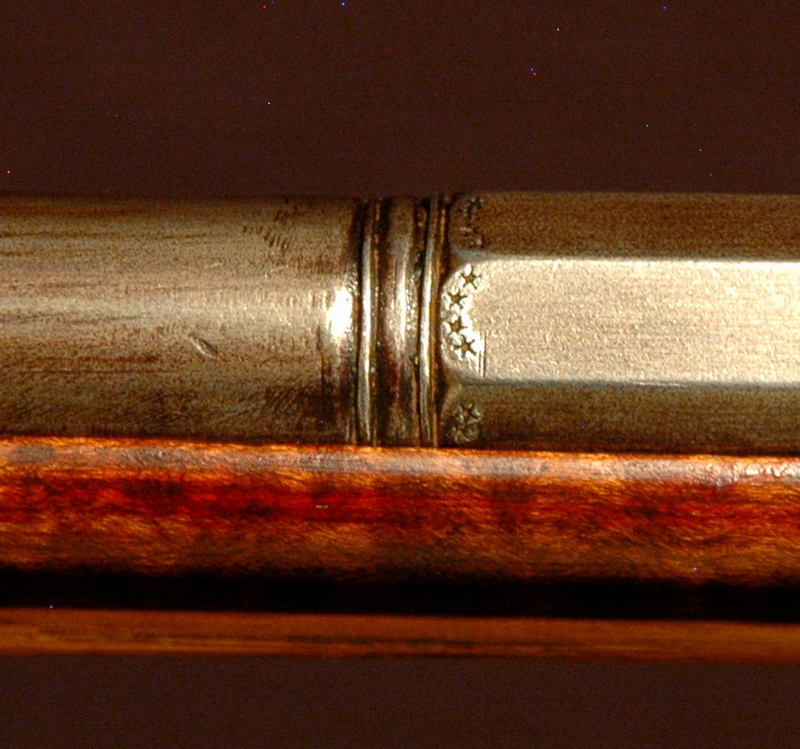 Though devoid of carving, there are several decorative brass inlays, and red varnish applied over the stock. 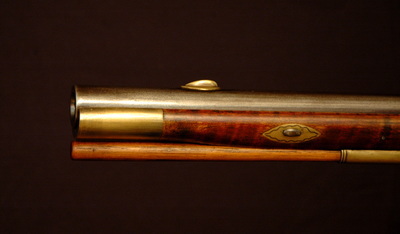 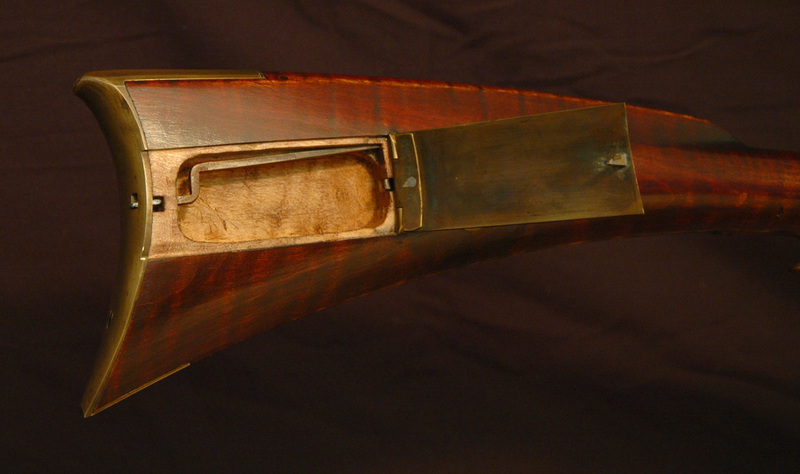 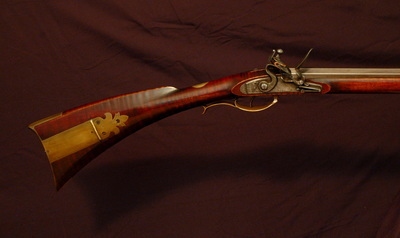 A light patina was applied to the hardware and stock to mellow the appearance and highlight the architecture of the gun.